Enter Riad Jennah Rouge! Hidden in the maze of the Medina you will not fail to be mesmerised. Riad Jennah Rouge really is a place you cannot help but revisit. 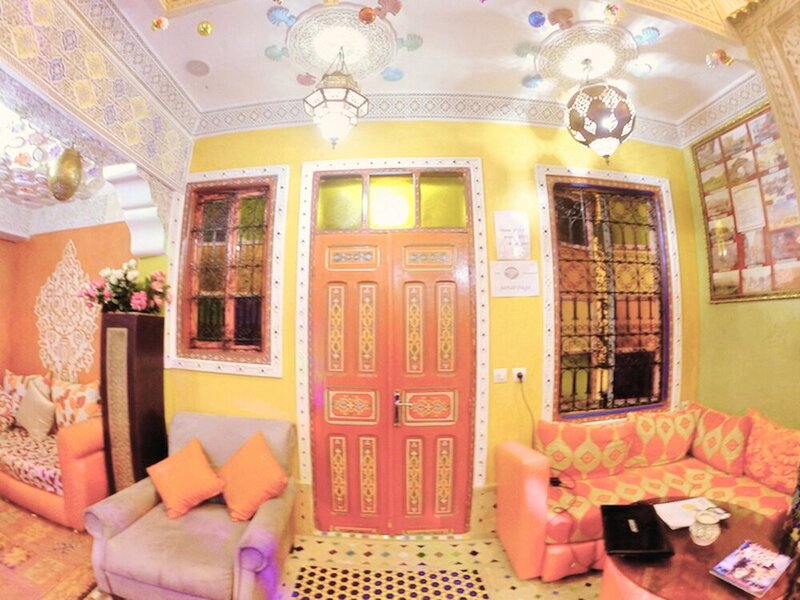 Starting your trip here, really does set the precedent for all other flashpacker accommodation throughout Morocco from the friendly service, to the wild colours and decor. Go trekking, or camping in the desert- you know you will return to true comfort Chez Jennah accompanied by a refreshing glass of mint tea. 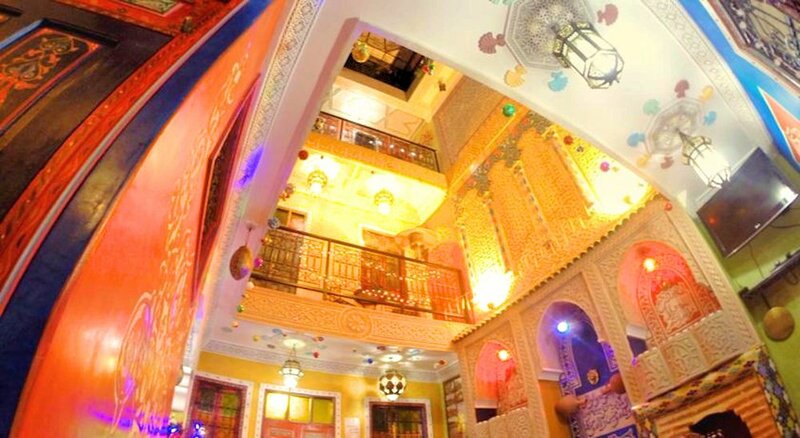 Choose a package below and extend your trip outside Morocco with Riad Jennah Rouge as your Marrakech base. - get off the bus and look to your right. You will see a fork in the road and the Cafe Koutoubia in between. Take the fork on the right - stay on the right hand side of the road. You will pass various boutiques that sell fabrics, clothes. After a few minutes you will see a large archway on your right. This is called Bab El Ksour. Turn right into it.